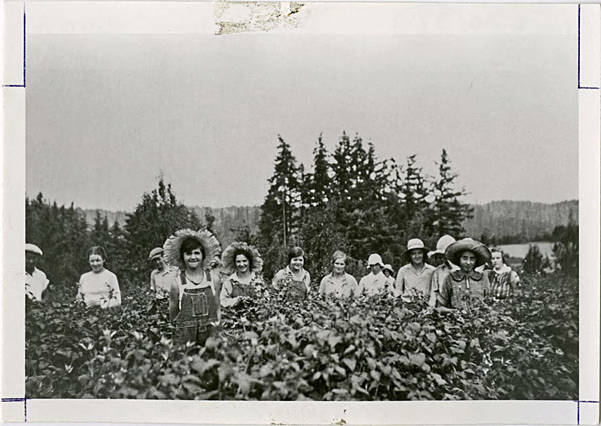 Black and white image of a group of mostly women in a field of raspberries. Two young girls stand in front of the group. 'Blackcaps' is a colloquial name for black raspberries. [back] [pen] Blackcap picking on Findley farm. About 1930. 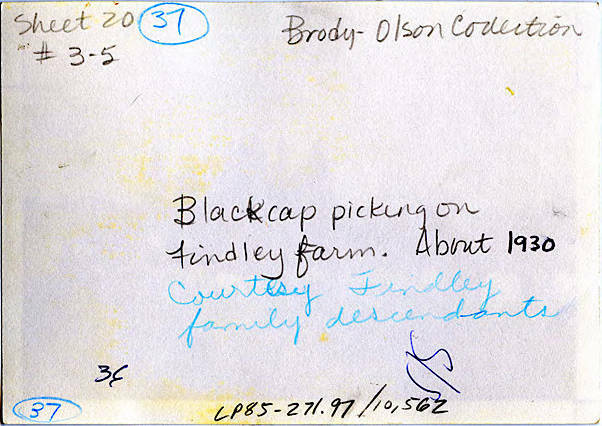 [blue pencil] Courtesy Findley family descendants.